Old Boys Weekend 2015 35th Anniversary! Old Boys weekend will be from on October 23-24th, 2015 this year. <- + Sticker & Tshirt. <- + Hat, Coffee Mug, Eve. Social. Old Boys weekend will be from on October 17th-18th, 2014 this year. ￩ + Sticker & Tshirt. ￩ + Tie, Patch, Eve. Social. Cedar Crest Golf Course, 7972 Mona Rd, Murfreesboro, TN. Shotgun start at 1:00 PM. Scramble format, open to all, so bring your friends. Remember, this is a fundraiser for the alumni foundation. Prizes to be awarded for 1st Place, 2nd Place teams, closest to the pin and longest drive. Hundreds of dollars in prizes to be given away including a Weber grill from Lowes! Merchandise packets will be available for pick up on Friday if given notice. $200.00 beer tab to start the night so get there early. After the beer tab runs out, each person picks up his own tab. 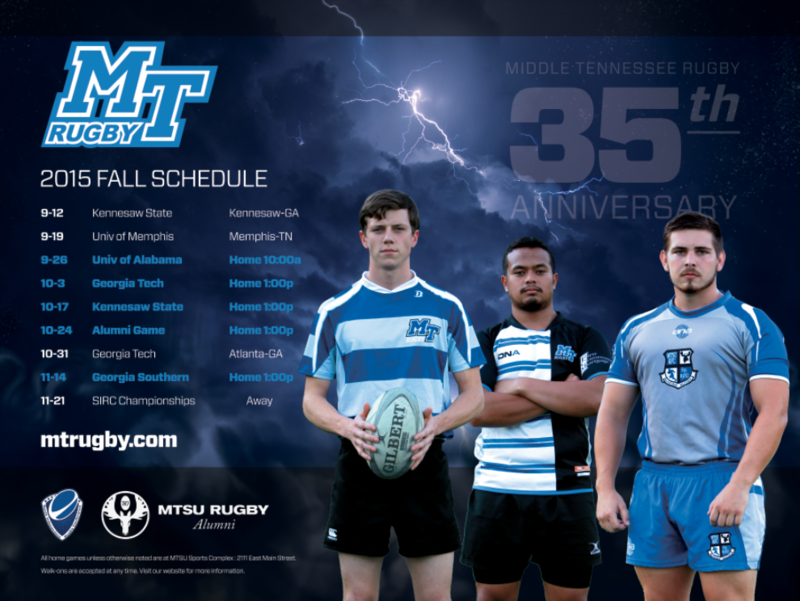 Let’s have a good showing and support the sponsors of the MTSU team. Merchandise packets will be available for pick up Friday if given notice. *Remember, MTRAF dues required to play in this game. * Check in at merchandise table for roster spot and pick up your packet. The board has appointed Mark Williams as honorary Old Boys coach. Womens’ game will be played directly following the men’s. There will also be activities at the fields for kids during the games including a bounce castle. Sinking Creek Farm, 2473 Battleground Dr, Murfreesboro, TN. Draft beer and a festive cocktail for the ladies will be provided. Jim N Nicks to provide catering for the evening. Must be 21 years of age to drink. Food & drinks will be served at 6PM. $30 per person if not purchased as part of a package. Under 21 $20. Children under 15 free. Awards will include Man of the Match for Old Boys & current team, golf scramble prizes and Club Member of the Year. There will be activities for the children, including a jump house, and piÑata. For the adults there will be music, corn hole, an adult piÑata and a slideshow of Moosemen over the many years. We have had a great time planning this weekend and we hope you have a great time enjoying it! – We’ve added some fun, family-friendly components like a bounce house, piÑata, corn hole, photo slideshows and more! 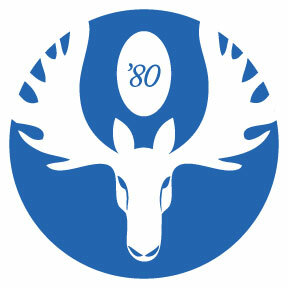 – Check out our Golf Scramble and consider buying a Gray Moose or Legend membership package for the best value! MTRAF Board Meeting at Watchmen Group offices 6:30p – 7:30p **If you’re interested in volunteering at Old Boys or otherwise, getting involved with the Alumni Foundation efforts. Contact us about attending.